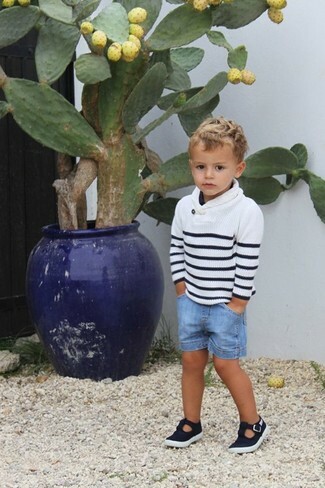 People will drool all over your little guy if he is dressed in this combo of a white and black horizontal striped sweater and light blue denim shorts. 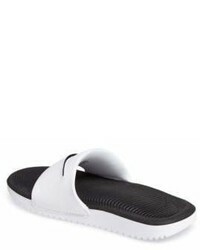 Nike kawa slide sandal are a great choice to finish off this outfit. 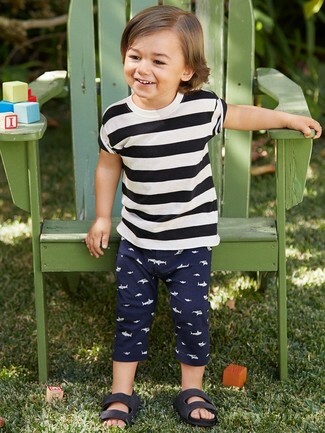 Opt for your boy's comfort with this combo of a white and black horizontal striped t-shirt and navy sweatpants. 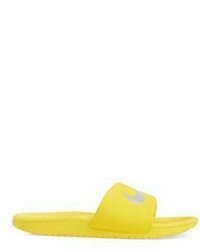 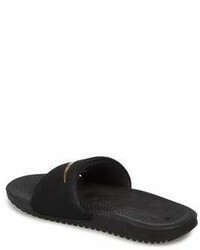 Nike kawa slide sandal from Nordstrom are a good choice to complete this look.